After writing email sequences and email marketing campaigns for businesses for over a decade we know quite a lot about how to improve your businesses open and click-through email rates with our email copywriting service. Our customers love our email copywriting services because it is targeted. It can also them and their brand top of mind with new leads and promote new and exciting offers to their existing customers. Email marketing can go a long way to building relationships with new people and converting those people into paying customers. 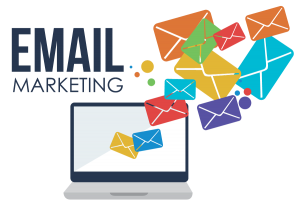 Plus another bonus of email marketing is it is measurable, affordable, personal, and can be shared easily. Some key copywriting points to consider when you write emails. Getting your readers attention in your email subject line is just the first step. Your email subject line is your headline. It has to grab people’s attention and do a lot of heavy lifting before your reader even decides to look at or open your email. Use the wrong words and it’s spam. Then you have to contend with spam filters where certain words in your email subject such as “FREE” may see your email delivered directly to their spam or junk mail with you none the wiser. You also have to keep in the mind the length of your email subject line as only a certain number of characters will show in the headline. Personalised emails or generic? Personalised emails will usually outperform generic emails. Tone. Then you have to write your email in the correct tone and in the second person so your email is focused on them and not you and make sure your email subject line and the content in your email support each other. What we mean is that what your subject says is what is in your email. Now email copywriting and marketing can be tricky and time consuming for the inexperienced business owner. However, our clients have seen great success with staying fresh in their customer’s minds and driving revenues using our email copywriting service. And like all our services there is no risk because you receive our exclusive “Love Your Sales Copy Guarantee” and all our email copywriting is written by our in-house team of professional Australian marketers and copywriters for Australian businesses. You also receive a range of other added values and email marketing strategies no other email copywriting service delivers and finding the right service isn’t always easy.